When it comes to learning aids, experience shows that using audio boosts memory recall and even conditions for certain behaviors. 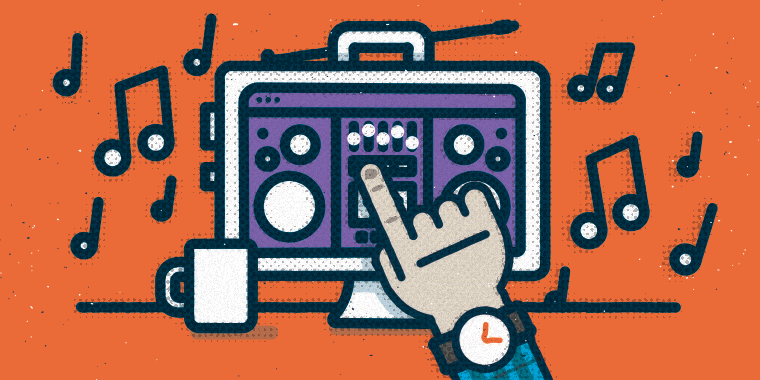 That’s why these soundboard examples could be the key to your next big e-learning success. Be sure to take your time with all 6 demos. You won’t believe your ears! See how using highly recognizable sound bites from popular culture can captivate your learners with this cassette soundboard demo by Joanna Kurpiewska. Check out Jane Maduke’s FX soundboard demo for an example of how many different sounds you can get out of a single audio file. Discover how you can help learners master those hard-to-say keywords with this pronunciation soundboard demo by Chuck Jones. Explore Juhi Kothari’s instrument soundboard demo to see how a large collection of audio files can keep learners glued to one screen for ages. Put your learners’ movie quote knowledge to the test with this film quiz soundboard demo by Nick Russell. Try out this guitar effects pedalboard demo by Dan Sweigart for a slider-based example that engages as hard as it rocks. Still listening? Visit our Articulate Storyline downloads hub, where you’ll find tons of free, inspirational downloads. And check out our E-Learning Examples Hub for great demos of everything you can do with Articulate Studio and Articulate Storyline 2.